This manufacturer has expired. Here is other Wet Wipe you might be interested. 55gsm spunlace with embossing touches soft for our skin. It is easy to take out one piece and reseal again. Chiaus (Fujian) Industrial Development was established in 2006. 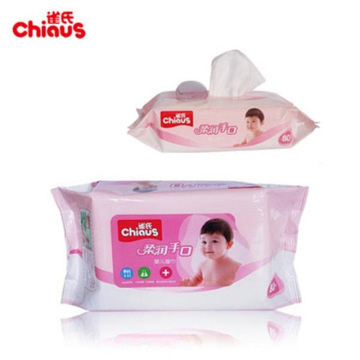 We are an ISO 9001:2008- and ISO 14001:2004-certified enterprise engaged in the development and manufacture of sanitary products such as baby and adult diapers, baby wipes and wet tissues. 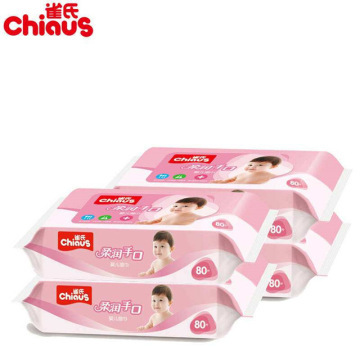 Our product series include: Item Q6: ultrasoft and instant absorption baby diapers with holes on the surface and elastic magic tapes Item Q9: smooth and soft baby diapers enriched with aloe oil Item Q8: ultrathin and breathable baby diapers with cotton back sheet and magic tapes Item Q7: economical baby diapers with breathable PE back sheet and adhesive tapes Exporting Products under the Brand “Chiaus” Worldwide These products are well received in the Philippines, the Kingdom of Tonga, the UAE, Vietnam, Ghana, Yemen, New Zealand and Australia under the brand “Chiaus”. Contact us today for more information.